1 fl oz/ 30 ml. 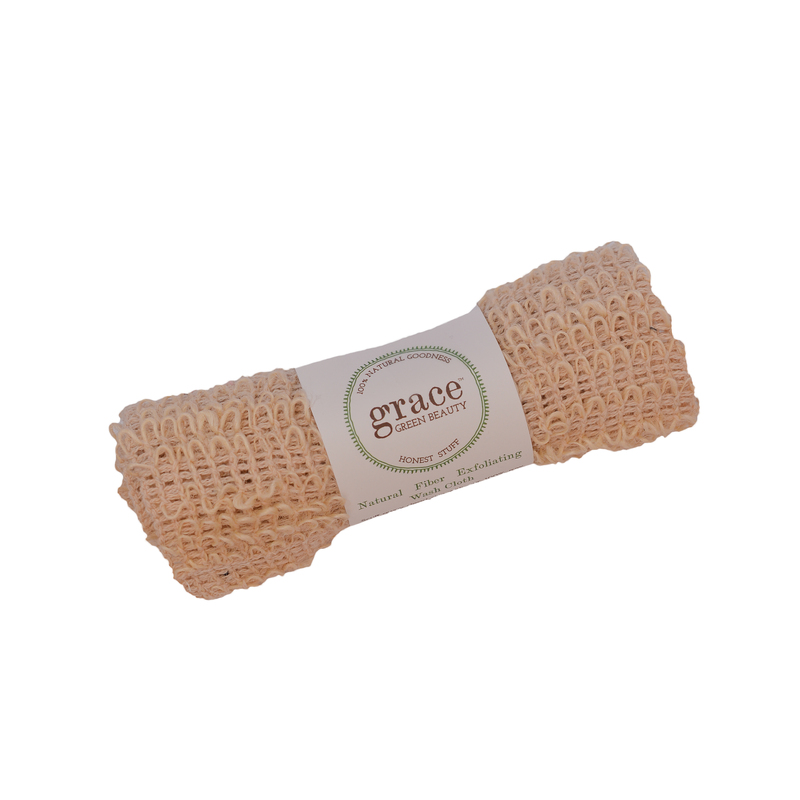 Purchase this product now and earn 56 GracePoints! SKU: TheSerum. 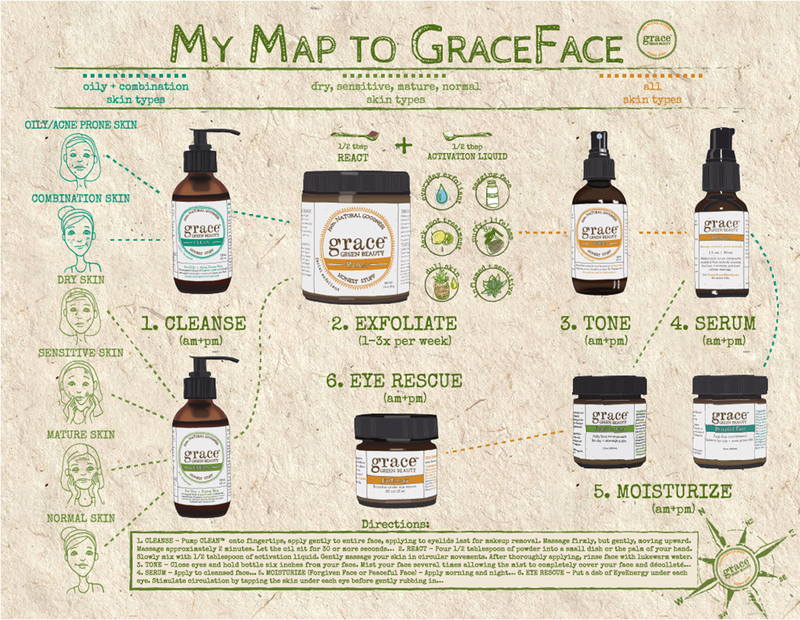 Categories: Face, SavingGrace. An anti-aging superfood! 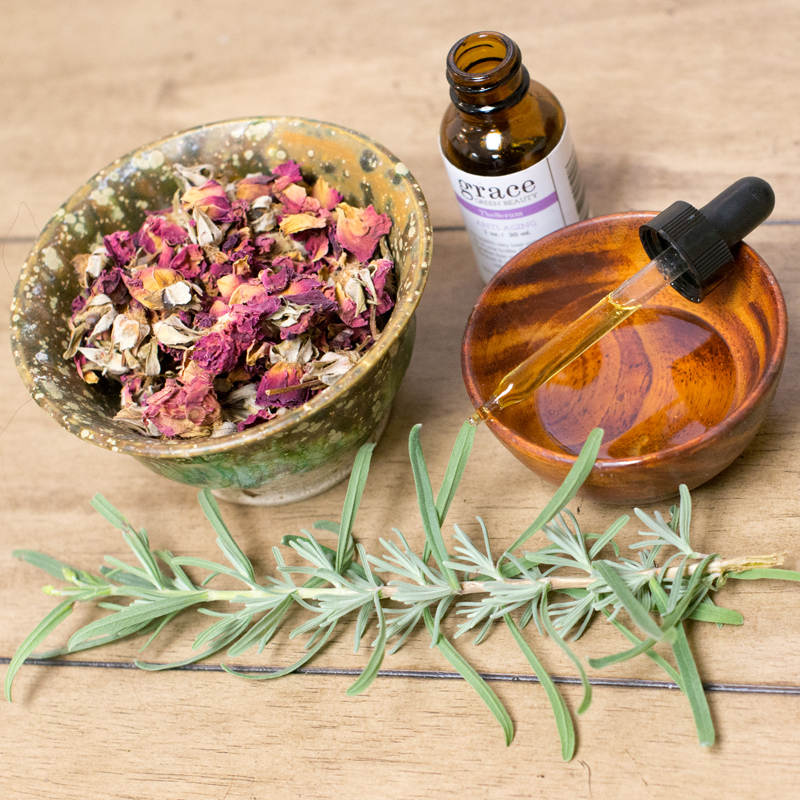 If you could imagine bottling up natures best corrective and preventive oils … here you have it! 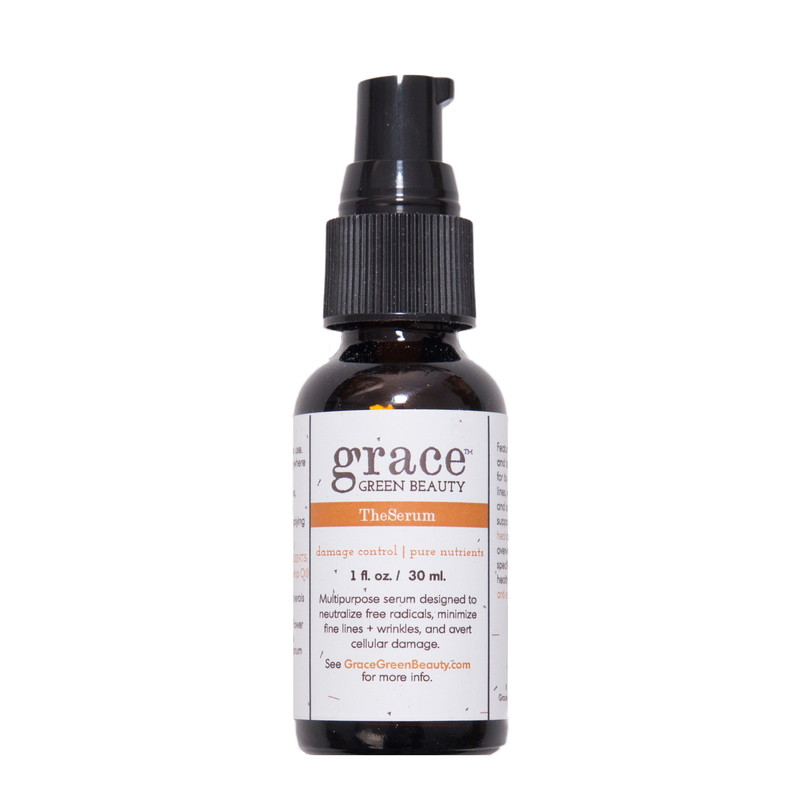 TheSerum is a multi-purpose array of pure nutrients. 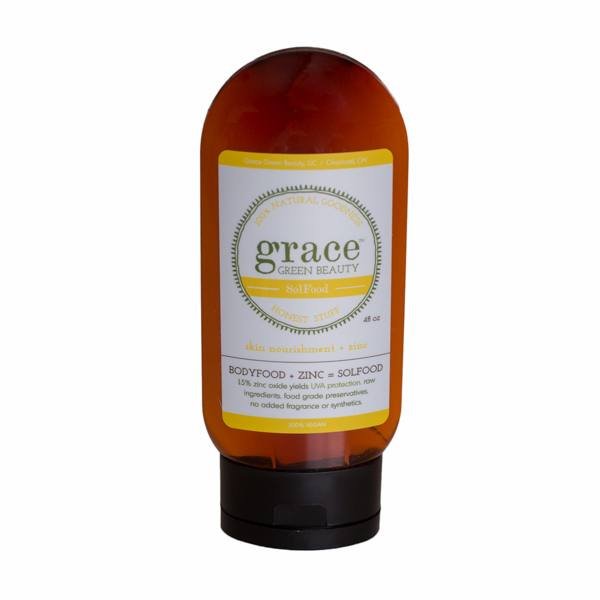 Organic rosehip is renown for its dramatic effect on fine lines, wrinkles, hyper pigmentation and scaring. The evidence supporting organic tamanu’s ability to heal damaged skin is overwhelming. Combined with specific essential oils to support healthy skin and packed full of: linoleum acid (omega- 6 fatty acid) , oleic acid (omega-9 fatty acid) , linolenic acid (omega-3 fatty acid), antioxidants, beta-carotene, lycopene and vitamin C. Watch your skin change. A staple in everyones skin care regimen. Really like this product I started using this product a few weeks ago and although have had bad experiences in the past with serums, this one is great. I put it on every night and in the morning my skin is so smooth. It's even helping my scar fade a little bit...woohoo! The bottle appears to last a long time which is a huge bonus! Worth every penny A little bit goes a long way on your face and it works as described. I have suffered from acne scars for years and even had laser treatments to get rid of them. I've tried all kinds of over the counter items and also RX. This is natural, so a better option to start with and it's the only thing that I see results with. It has a distinct smell that's not bad just different. So happy I finally tried GGB products! LOVE The serum is one my favorite products! its goes on so smooth - I use it every night and I wake up with my face feeling so much smoother and I've noticed sun damage is slowly disappearing! You must give this product a try , you will not be disappointed. Amazing value The Serum is really great value, this little bottle lasts quite a long time! I love the ingredients and how it has helped my skin. I can't apply this in the morning as it does leave my face greasy but love having this as part of my nightly regimen. gingerrussell50@gmail.com This is a wonderful product I have been using it for a couple of wks now . LOVE THIS STUFF This stuff works wonders!! Amazing on scars and sun damage. Love The Serum I've been using The Serum for a few weeks now and I've noticed several positive changes in my skin. The biggest change has been in an area I had sun poisoning on about 15 years ago. Ever since that time, that area of my skin has been blotchie and red. For years I used regular moisturizer with no change but in just a few weeks of using The Serum that area is no longer red or blotchie. I should also mention that I use the toner prior to applying the Serum. Use as often as possible starting with night time applications. Apply to cleansed face (CLEAN for dry or CLEAN for oily ). 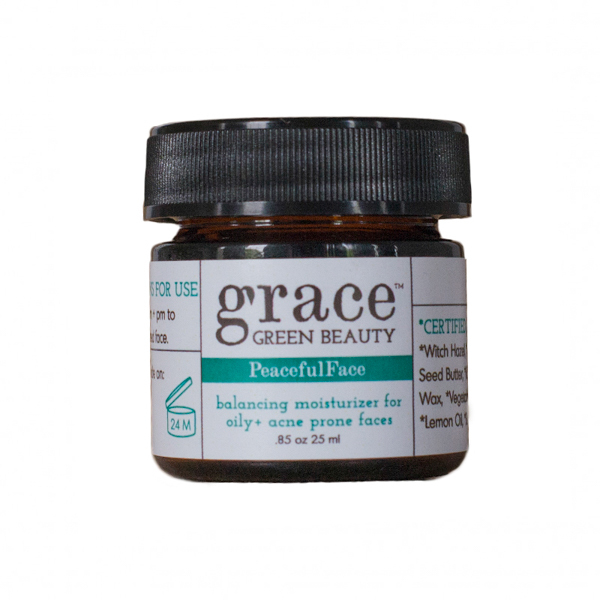 Use under your moisturizer (Forgiven Face or Peaceful Face™ ), or in place of your moisturizer. 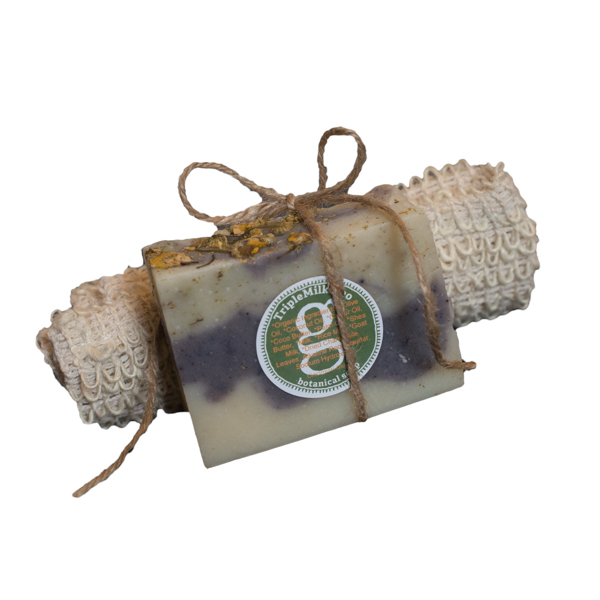 Spread the goodness of this product to other parts of your body that needs help, such as any stretch marks or scars. 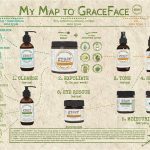 To super charge your skin, consider cocktailing TheSerum with other Grace skin nourishments such as BodyFood™ , Naked BodyFood™ Forgiven Face, and PEACEful Face™ . Example, add ten drops to the BodyFood in your hand before applying to your body.